Menstrual practices have changed over the years, women are not only trying a variety of menstrual sanitary options but are also using different mobile applications for tracking their menstrual cycle. Before the invention of disposable sanitary pads, women used cotton clothes which often resulted in infections and rashes. The invention of sanitary pads dates back to 1888, and were first used for wounded soldiers and then were made commercially available for women by Johnson & Johnson. A survey was conducted amongst college-going women around Bangalore to find out their menstrual habits including their clothing and sanitary preferences. The survey revealed that 92.3% women prefer using sanitary pads as their menstrual sanitary option, while 15.4% use tampons. Women who use sanitary napkins have found them to be a comfortable option because they find them easy to use and available. Some respondents said that sanitary pads are what they were first introduced with when they hit puberty and thus, find other options like tampons and menstrual cups difficult to use. Women who use tampons are of the opinion that it prevents menstrual leaks. Shivani Shailesh, a 22 year old student of St. Joseph’s College (Autonomous) said that tampons suit her better as she plays tennis. None of the women who answered the survey use menstrual cups. 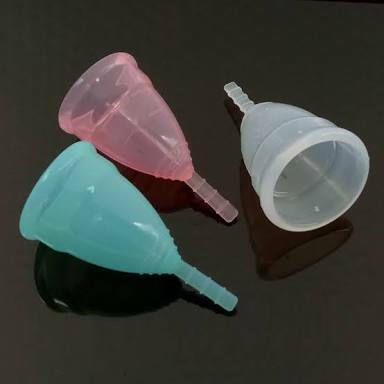 In recent times, doctors suggest women to switch to menstrual cups as it is a more effective option and prevents the rashes caused by sanitary pads. Menstrual cups also cut down on the waste produced by other sanitary options. When women were asked about clothing styles during periods, they associated the words ‘comfortable’, ‘loose-fitting’ and ‘tight bottoms’ with clothing they prefer during periods. Some of them even mentioned that they mostly wear dark colors to avoid visible staining. A student S has also mentioned about the belly bloating during periods. This happens due to high levels of estrogen produced in the body right before the cycle begins. S has also revealed that she likes wearing high-waist pants and skirts because it is trendy and helps her manage the bloating. About 64% of women admitted to having a different set of undergarments for their periods, these include soft, cotton, and dark sets which are easily washable. The rest said that were quite comfortable with their regular undergarments and can manage in them. Many women said that they avoid wearing white clothing during periods. From the survey, it is found that the clothing items women are most comfortable in (during periods) are loose fitted pants, palazzo, skirts, frocks, tights and long t-shirts. Women often make note of their cycle dates to be able to predict their next cycle or meet the doctor for irregularities. About 62% women who answered the survey used mobile applications to update their cycle dates and keep track. These applications predict dates (ovulation, fertility, etc. ), recommend medications and also allow diary entry. The most commonly used applications are Flo, Clue, Wonder Period, My Day X, and Period Calendar. Out of these ‘apps’, the most popular one is Flo. Flo- Period and Ovulation tracker claims to make ‘scientifically accurate’ predictions using artificial intelligence. These applications also send reminders in the form of notifications and also contain information about menstrual hygiene.